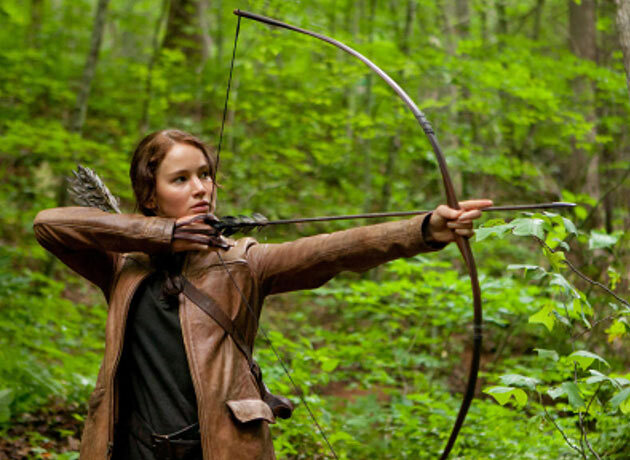 Jennifer Lawrence Talks “Hunger Games.” | The Cineaste's Lament. ← New “Avengers” Character Posters Released. In an interview posted to ComingSoon, Katniss Everdeen herownself talks about the hugely anticipated flick. “Q: How useful was the book? Do you have all those first person thoughts going through your head? Lawrence: For an actor, it’s an amazing thing to have my character’s inner dialogue. It never happens. Q: At some point do you have to let go of the book? Lawrence: Yeah, when you’re making a film, the book is a good tool, but once you have the script and you’re making a movie, you have to let go of the book. I held onto the inner dialogue, but yes, you do have to let go. This entry was posted in action, Film News, Sci-Fi and tagged Jennifer Lawrence, Jennifer Lawrence interview, The Hunger Games. Bookmark the permalink.